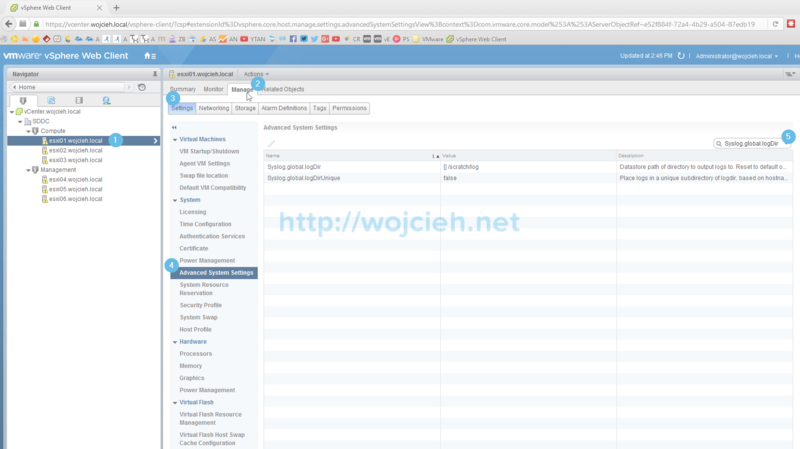 Today I would like to show you how to change or setup location of VMware ESXi System Logs to local or remote datastore. 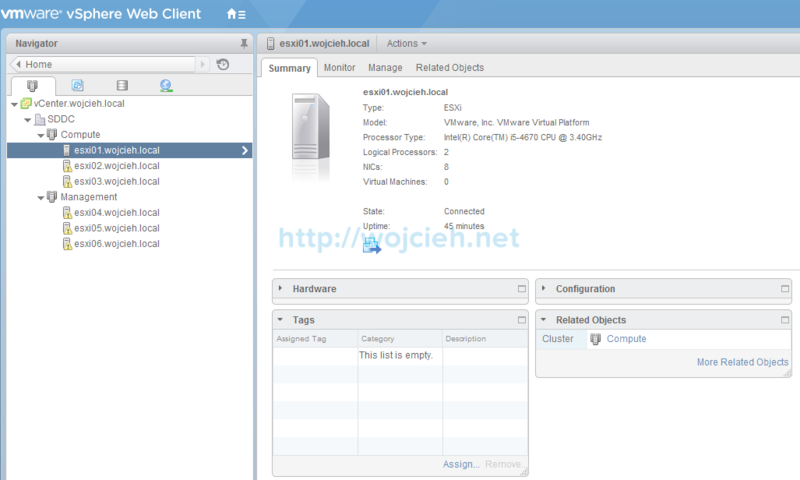 Quite recently I reinstalled my Home Lab and I faced following notification in vSphere Web Client. First of all we should ask ourselves why do we want to do it? 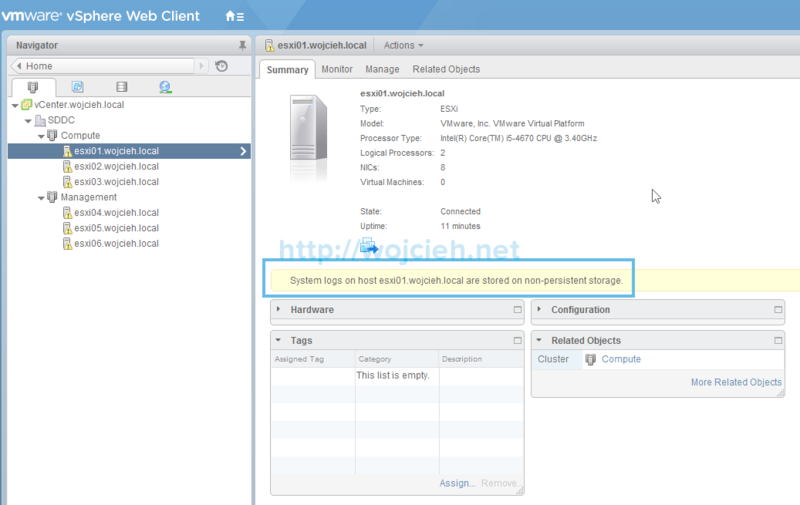 The answer is quite simple – in case of disaster or troubleshooting we need access to ESXi logs. If you don’t store system logs at all it will be not possible to investigate issue without logs. In case you want, System Logs can be moved away from local to remote (FC, iSCSI or NFS) datastore. Go to Manage \ Settings \ Advanced System Settings. In search field type Syslog.global.logDir and hit Enter. Double click on Syslog.global.logDir and enter name of the datastore where you want to store logs in format [datastore_name]folder. In my case it looks like that: [ESXi01-local]logs. After you commit change alert on ESXi disappears. 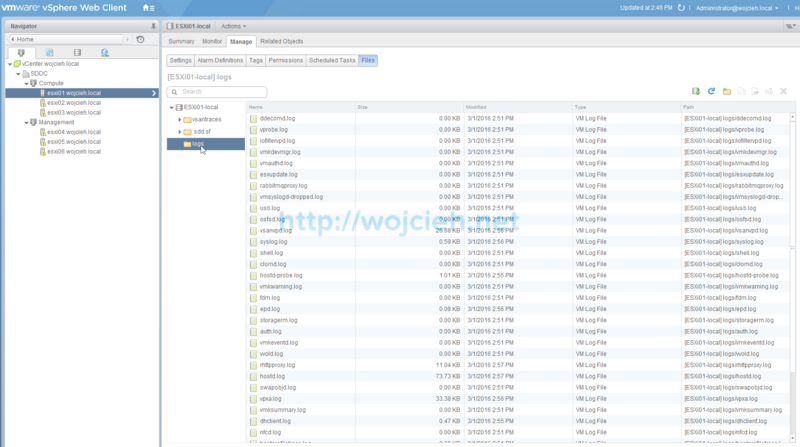 Browse datastore where we store ESXi logs to check if settings are applied correctly. As you see it was quite easy and we achieved our goal to store ESXi logs on datastore.